One of Broadway's greatest actresses and acting teachers, she won a Tony Award for playing Martha in Edward Albee's Who's Afraid of Virginia Woolf? 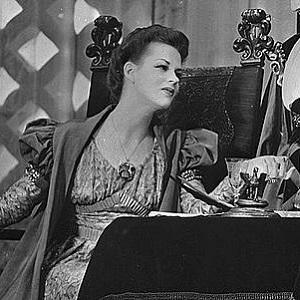 She made her professional stage debut in 1937, playing Ophelia in Hamlet. She later starred as Nina in the Broadway production of Chekhov's The Seagull. A respected acting theorist and teacher, she published a famous acting manual entitled Respect for Acting. Her second husband, Herbert Berghof, ran his own acting studio HB Studio. At the studio, Hagen and Berghof taught such renowned actors as Fred Ward and Jeff Bridges. She replaced Jessica Tandy in the role of Blanche DuBois in the national tour of Tennessee Williams' A Streetcar Named Desire.